Bring smiles to the faces of kids in DC! Did you know that WIT runs after-school programs in DC? 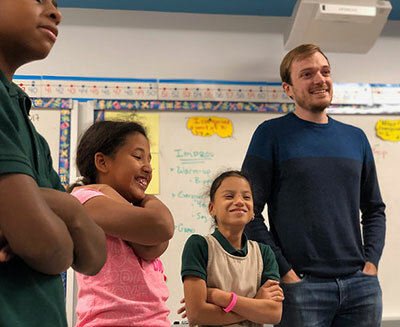 We’ve been sharing improv with fourth- and fifth-graders at Marie Reed Elementary, Sitar Arts Center, and teens at the Kingman Boys and Girls Club. These programs help them improve their confidence, learn to communicate better, and discover the power of saying “yes” to each other. You can help more kids participate in these programs! These programs are free for the students, so your donations help us support our existing programs and expand our youth programming. Become a monthly donor to WIT for as little as $5 per month. Regular giving enables us confidently expand the reach of our community outreach.  $40 per month will pay for a semester of workshops for women experiencing homelessness at Calvary Women’s Services. This program supports Calvary’s mission to empower women in DC to transform their lives.  $20 per month enables us to introduce improv to Washingtonians through THREE Improv for All Workshops. 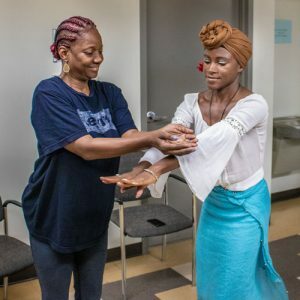 Held at locations like CentroNia or the Deanwood Neighborhood Library, these workshops give improv newcomers a taste of the joy and creative freedom improv provides.  $10 per month pays for two sessions of youth workshops at Marie Reed Elementary, Sitar Arts Center and Kingman Boys and Girls Club. These workshops equip kids with confidence, cooperation, and creative thinking. 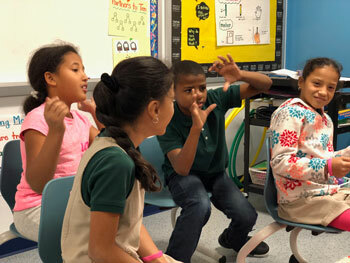 For five weeks this summer, we're sharing improv with kids in grades one through five at Marie Reed Elementary in Adams Morgan! These programs help them improve their confidence, learn to communicate better, and discover the power of saying “yes” to each other. We're hoping to raise $2,500 this summer to support the cost of this camp. These programs are free for the students, so your donations help us support our existing programs and expand our youth programming. Any money raised over our goal will go straight to funding our after-school program in the fall!